I have known Don and Janice Bosson for over 20 years. They found the lot where I built my first new home. They sold that home for me and found another lot backing the forest where a partner and I built what I thought would be my final home. It was my ultimate home but because of the partnership it became necessary to sell. I was pretty much devastated that I had to sell. Don and Janice walked me through this very difficult emotional sale. The market was rising, but I didn’t have much energy to look for a home that was going to be less than what I had just sold. 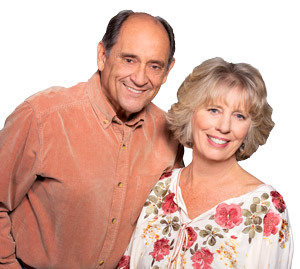 Don and Janice coached me and I began to realize that although I couldn’t afford what I was forced to just sell, that what I would get would be all mine. Don and Janice found a home for me near my business in a good neighborhood. It needed some work and I was up and down with whether it was the right thing for me. At one point during the escrow I said “I didn’t want to buy the home.” Don and Janice camly took me out to look at everything else that was available in my price range. I realized that what I was buying was a good deal and we closed the escrow. I have been fixing up my house just the way I like it and love it. I love my house and I love my Realtors!